We had a special visit at the shop earlier this week! Nardwuar the Human Serviette came by Six Cent Press in person to pick up his latest order of pin-back buttons! Nardwuar got to telling us about the time he gave one of his popular 1.5″ square Canuck buttons to a band member of the Strypes, who then wore that same button in a photo shoot appearing in the pages of Rolling Stones magazine! He also wore the button during a performance on the David Letterman Show, which was caught on camera. 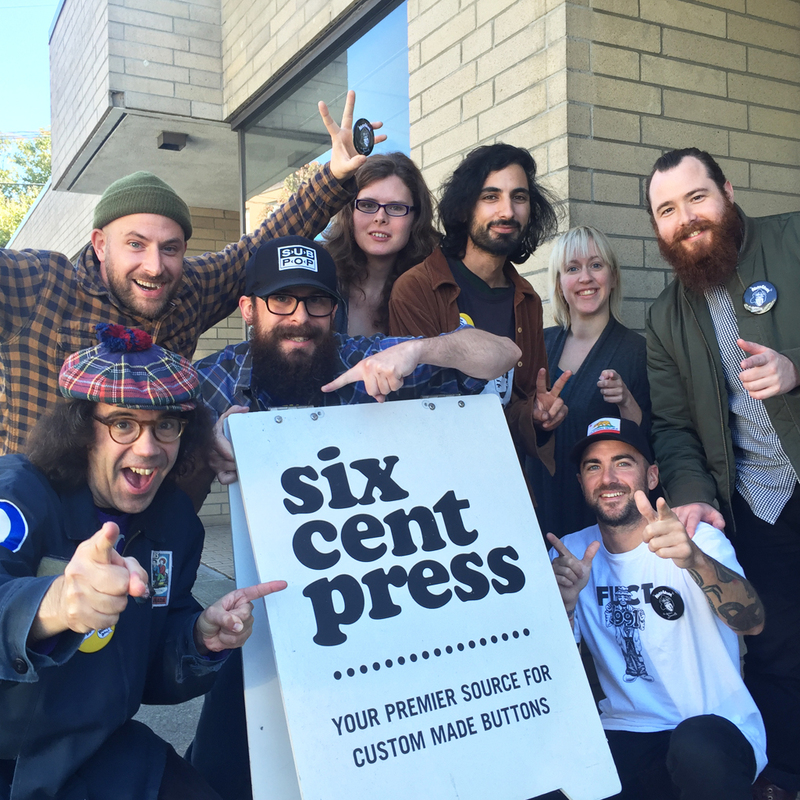 It was very cool to hear how far of a reach Six Cent Press-made buttons get once they fall into the hands of our customers!